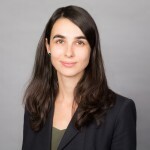 Alexandra Morançais advises French and foreign financial institutions on all areas of financial services regulations. She also assists financial institutions on enforcement investigations by the French regulators and related litigation. Alexandra Morançais is fluent in French and English.